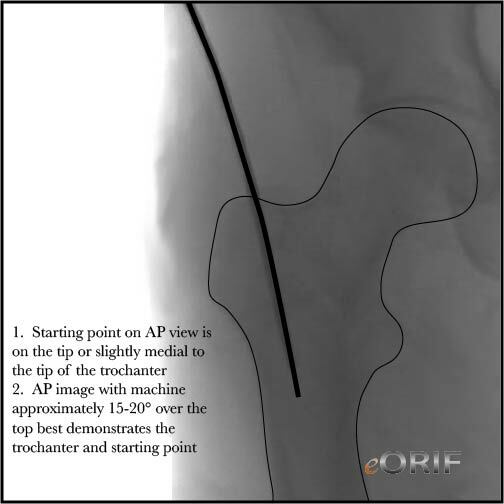 Fluoro tips: AP image with machine approximately 15-20° over the top of the patient generally demonstrates the outline of the greater trochanter, and aids in visualization of the starting point for the nail. 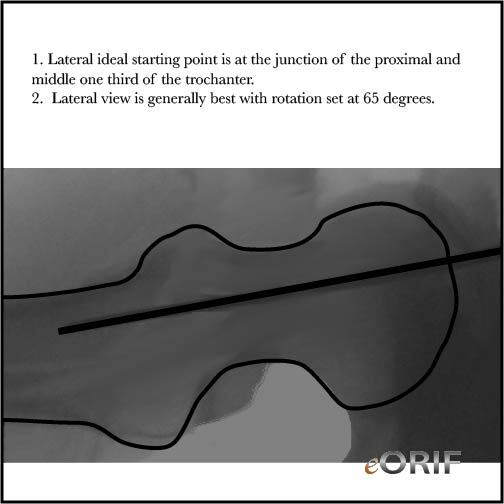 Lateral view is generally best with rotation set around 65 degrees. Infection, nerve or artery damage, stiffness, weakness, incomplete relief of pain, incomplete return of function or motion, incomplete return to sport, need for further surgery. Medical complications including heart attack, stroke, blood clots, pulmonary embolus, transfusion reaction or death. Post-op:Consider DVT prophylaxis. Weight-bearing as tolerated. Typically require short-term rehabilitation. 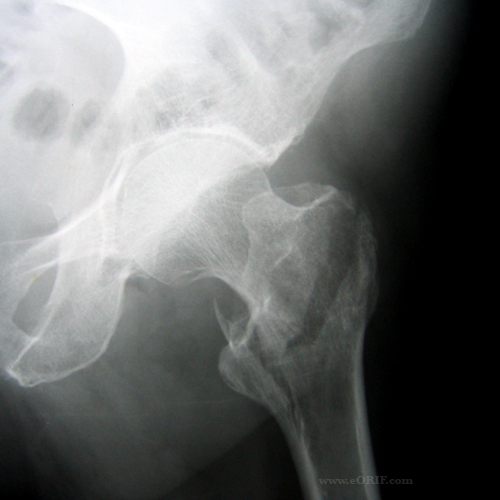 Osteoporosis evaluation is generally indicated.